Next week the Salone del Mobile opens in Milan and we are happy to invite you to the “The Path Ut Leads Inn” - the Elementa manifestation at the Norwegian Presence exhibition in Zona Tortona. Elementa will launch several new products and projects on the Norwegian Presence exhibition in Milan this April. Hope to see you there! 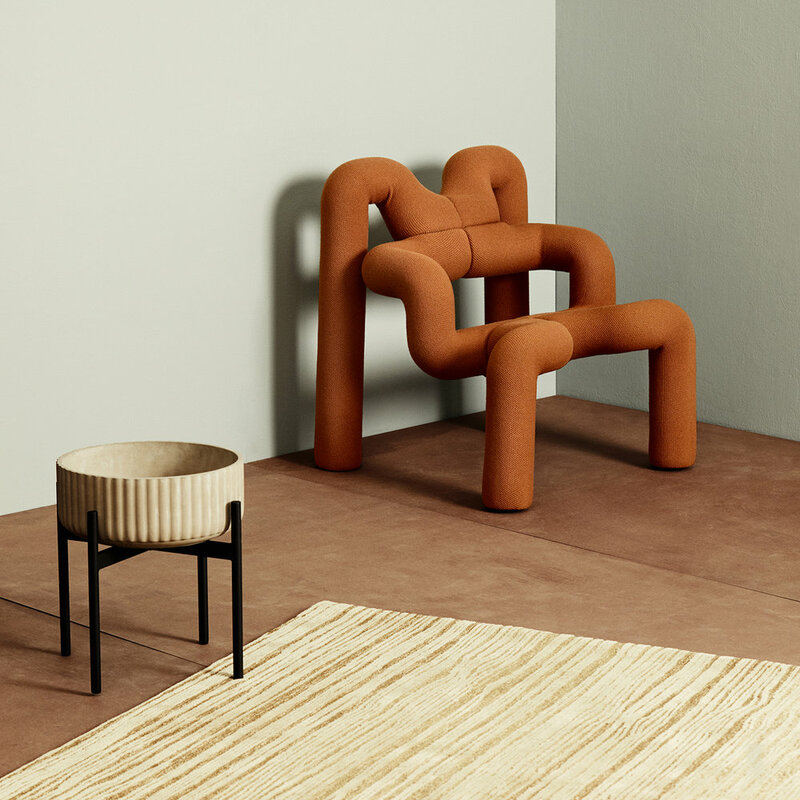 Norwegian designers, craft artists and manufacturers join forces in JOIN by Norwegian Presence, an exhibition curated by the acclaimed creative studio Kråkvik&D’Orazio. Carefully selected furniture and objects form a collective exploration of community and sustainability. The exhibition in Via Savona 35 is a collaboration between Design and Architecture Norway (DOGA), Klubben and Norwegian Crafts. The project is supported by The Royal Norwegian Ministry of Foreign Affairs, Hydro, Lundhs, Innovation Norway, The Federation of Norwegian Industries, Oslo Design Fair and Visit Norway. The Climate Festival § 112 of January 2019 is a broad climate celebration that encourages and inspires people to support political measures to ensure a sustainable future. Elementa had a talk with Anders Selstrøm Moe, one of the driving forces behind the festival. The Global Seed Vault, situated deep in the permafrost of Svalbard is celebrating its 10 years aniversary this year. We have spoken to Seed Vault Coordinator Åsmund Asdal about the importance of storing original seeds safely in an unstable world. Nicanor Perlas is a global activist, writer and speaker and regarded as one of the most remarkable leaders of the peoples movements of today. In the midst of his active existence Perlas graciously took the time to talk to Elementa about what he sees as being the most crucial concern of our times. Oslo is one of the rare capitals in the world that have an official City Farmer. Andreas Capjon has a passion for soil. We had a talk with him about why it matters. Also for you. According to The New York Times List of Top New Food Words: CLIMATARIAN (n.) A diet whose primary goal is to reverse climate change. When 2017 arose, Cecilie Dawes, green entrepreneur and founder of Food Studio, had decided that she wanted to actually do it. She wanted to walk the talk. On this year's Milan Exhiition Elementa introduced UT - a series of objects that seek to explore new ways to interface nature. In collaboration with known and less known designers and artists the aim is to follow the Scandinavian Design tradition onto some less travelled paths. We are happy to invite you to the exciting Norwegian Presence exhibition in Milan 17-22 April, where we will launch the first products and proposals of our anticipated UT series. We will show new designs and proposals by designers and artists including Hallgeir Homstvedt, Kneip, Anderssen & Voll, Emma Staubo & Jomi Evers. The earth is alive, we know it intuitively - but can it be scientifically proved? And even more important, can it be experienced? We have had the honor and pleasure of talking to eco scientist Stephan Harding about the present status of Gaia science and about how we can connect to the living presence of the Earth. During Designers Saturday and Oslo Art Weekend in September we had the pleasure to host Swedish artist Roberto Peyre at Elementa - and follow his Lövaman for an adventure in the streets and galleries of Oslo.